Around 80 teenagers had to be dispersed by police at the weekend after a house party in Worthing got out of hand. 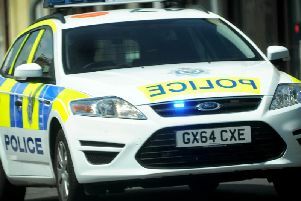 A spokesman for Sussex Police confirmed officers were called to a property in Ham Way last Sunday evening (April 7) to reports of young people behaving anti-socially. One of the fathers of the children involved said he was called to collect his daughter at about 9pm and arrived to ‘about 100’ children running from the house. There were at least 10 police cars and officers, he said. Sussex Police said many of the teenagers, some of whom were as young as 15, were ‘very intoxicated’. “While a number of young people were very intoxicated, their condition would have been assessed by the officers present and if there was any doubt that medical treatment was required they would have sought it,” said the spokesman.